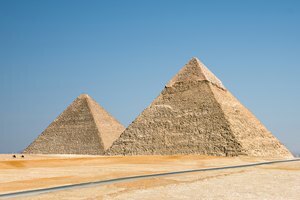 What Was Put Into a Pyramid? Ancient Egyptians were dedicated to the afterlife. This was perhaps because their mortal lives were relatively short; very few Egyptians lived to beyond 40 years old. Mummifying their dead was a way to preserve and prepare them for the afterlife. Items that might be useful in the afterlife were also customarily buried with the dead including everyday objects, foods, beverages, jewelry, pets and servants. 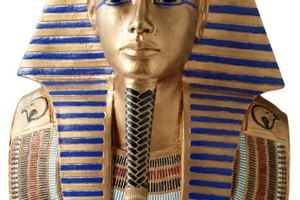 Most ancient Egyptian tombs, whether they belonged to royalty or peasants, were filled with everyday items, such as dishes, makeup, jewelry and furniture. The Egyptians believed that life after death was similar to life on Earth, so they felt it was important to include all the daily necessities in their burial tombs. If items were not in the tomb, the dead would not have access to them in the afterlife. Some kings began filling their tombs long before their deaths to ensure they would have all they needed and wanted. 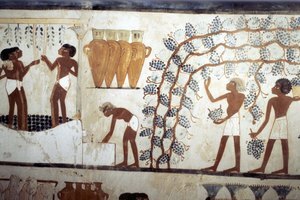 People placed copious amounts of food, beer and wine in the tombs of mummies. Food items were typically placed on offering trays and serving dishes, so that the deceased could continue to eat and drink in the afterlife. Food was not haphazardly entombed, but was instead flavored, dried and mummified for preservation. King Tutankhamen’s tomb included an estimated 40 boxes of preserved meat and poultry. Ancient Egyptians feasted on a variety of meats, including goat, cow and duck, all of which have been found in tombs. Jewelry was commonly placed in mummies’ tombs and on the mummies themselves. This jewelry was expected to serve several functions. Beads were often placed around mummies’ necks with the expectation that they would help restore breath to the deceased in the afterlife. Almost everyone mummified during the New Kingdom, from 1550 to 1070 B.C., was buried with at least one heart scarab amulet; scarabs represented rebirth and the underside of these amulets were usually inscribed with a spell that would help the deceased enter the afterlife upon being judged favorably by the gods. Several other types of jewelry were often placed in mummies’ tombs, a practice that later attracted tomb raiders in search of ancient treasure. Beloved pets were often mummified and buried with their owners, sometimes even in the same coffin. Pets that outlived their owners were often buried in the courtyards of their owners’ tombs. These animals were thought to serve as companions and good luck charms in the afterlife. All kinds of animals, from mummified mice to an 18-foot long crocodile have been found in mummies’ tombs. During Egypt’s First Dynasty, servants were sometimes sacrificed and buried with kings, to serve as attendants in the afterlife. It was considered an honor to be one of these servants because they would presumably spend the afterlife with the king and sun god, Re. However, this practice ended around 2900 B.C., and was replaced by the inclusion of small statues called shabtis that represented servants. 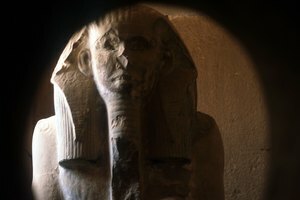 What Happened at a Pharaoh's Burial? 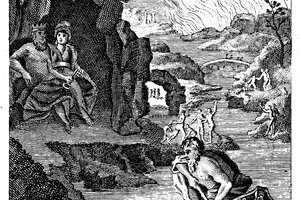 Cairoli, Sarah. "What Did the People Put in the Mummies' Tombs in Ancient Egypt?" 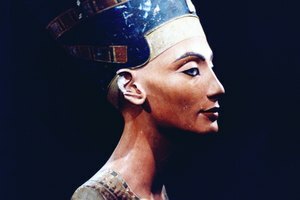 Synonym, https://classroom.synonym.com/did-people-put-mummies-tombs-ancient-egypt-12860.html. 25 June 2018.